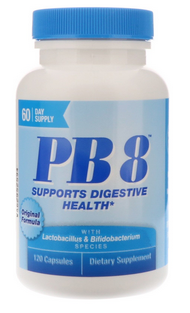 PB8 is a probiotic supplement with 8 different probiotics that comes in 2 different capsule forms, one made with gelatin capsule and a vegetarian one made with a vegetarian cellulose capsule. It is marketed for digestion support and now (2018) is manufactured for Church & Dwight Co., Inc Northwest Natural Products Group, NJ. It is no longer a Nutrition Now product and the formula has changed slightly. What Probiotic Strains are in Nutrition Now PB8? 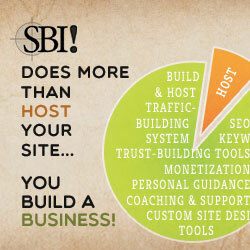 What are the Other Ingredients in PB8? Please always verify the ingredients before taking any product. The other ingredients at the time of this updated writing (July, 2018) are microcrystalline cellulose, magnesium stearate, maltodextrin (source not verified) and silica in a cellulose capsule for the vegetarian PB8 and microcrystalline cellulose, magnesium stearate, silica, and inulin (a prebiotic in undisclosed amounts) and a gelatin capsule for the regular probiotic supplement. The dosage recommended on the bottle is two capsules per day for digestion support. What are the Pros of PB8? It is a multi-species product. It is marketed for digestion support. Since it contains 8 different species of probiotics which have different and overlapping functions in the body, it might help with digestion depending on a person's needs. It contains NO gluten (wheat), eggs, milk, peanuts, tree nuts or soy. It contains no artificial colors, flavors or sweeteners nor preservatives. Most of the other ingredients (except the inulin and maltodextrin) are basically inert. What are the Cons of PB8? The total CFU is at the time of manufacture, not at expiration, so you don't know if you are really getting the amount listed on the label. The regular version also contains inulin, a carbohydrate prebiotic to support the growth of the microbes, which may pose problems for some people even though it is at an amount less than 1 gram per 2 capsules. The maltodextrin may be from GMO corn. As with most probiotic supplements, this one requires refrigeration after it is delivered. This supplement is no longer manufactured under the name Nutrition Now, Inc. as of this writing. I tried to find information on the product under either of the names on the bottle on the internet and did not find anything. Although there is a phone number on the bottle for Church & Dwight, the lack of any kind of web presence stating their manufacturing processes makes me wary of their expertise and quality controls. Compared to other multi-species probiotic supplements, this one contains a lower number of total CFU of 7 billion per capsule. 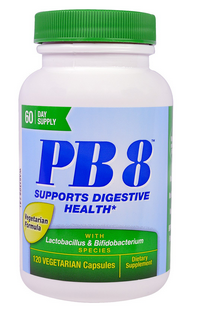 Is PB8 the Right Probiotic Supplement for YOU? I can help you can decide if this probiotic supplement fits your needs. What I will say from personal experience with it that it was one of the first probiotic supplements I took when it was still manufactured by Nutrition Now many years ago. At the time, I liked that they offered a gluten-free, dairy-free supplement that said so right on the label when I was trying to navigate the scary gluten-free world. Unlike today's circumstances, before the words "gluten-free" were nearly common knowledge and had a meaning, it was very hard to find products I could trust. I trusted this product. Today, however, my opinion has changed. The lack of available information about quality control and a visible product information presence, in my opinion, is concerning, and I doubt it is the best supplement on the market. Note that I did not pursue calling the number to ask a number of questions because I feel that transparency with consumers is a must, especially in this digital age. If you are considering taking this supplement, I suggest you call the company to have any of your concerns addressed. I encourage you to consider the professional supplements from companies with transparency and well-documented quality control and testing standards that are available from my dispensary. In addition to taking a supplement, I encourage you to explore the world of naturally-fermented whole foods and drinks and probiotic-fortified foods and drinks. Many thanks to Nancy for suggesting the original review of this gluten-free dairy-free probiotic supplement! Return to the page on probiotic supplements.